Daughter of the four gaited stallion Vákur frá Vatnsenda (8.17) and Skreyting frá Kanastöðum (7.93). Ugla frá Heimahaga is beautiful black mare foal, daughter of the four gaited stallion Vákur frá Vatnsenda (8.17) and the four gaited mare Skreyting frá Kanastöðum (7.93). Ugla was born on he 7th of June. 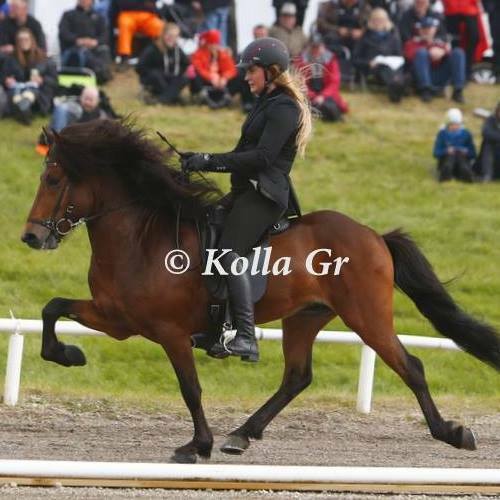 Vákur frá Vatnsenda (8.17) is a great four gaited stallion with 8.18 for Conformation and 8.16 for Riding Abilities; 9 for tölt, 8.5 for trot, 8.5 for gallop, 8.5 for spirit, 9 general impression and 9 for walk. Total 8.17. Vákur has also 8.5 for slow tölt and 8.5 for canter. 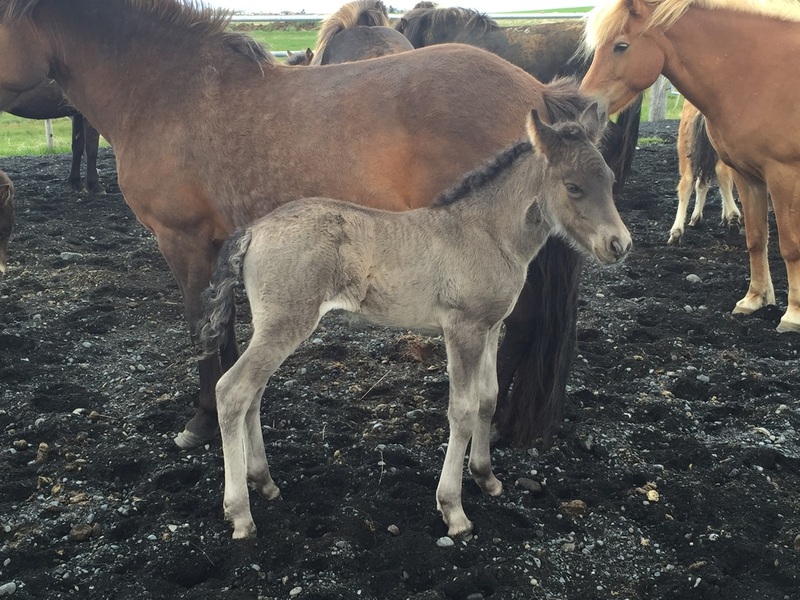 Vákur is son of the four gaited stallion Mídas frá Kaldbak (8.34) and the four gaited mare Dáð frá Halldórsstöðum (8.09). Mídas has 8.29 for Conformation and 8.38 for Riding Abilities; 9 for tölt, 9 for trot, 9 for gallop, 9 for spirit, 9 for general impression and 8 for walk. Total (8.34). Mídas has also 9 for slow tölt and 9 for canter. 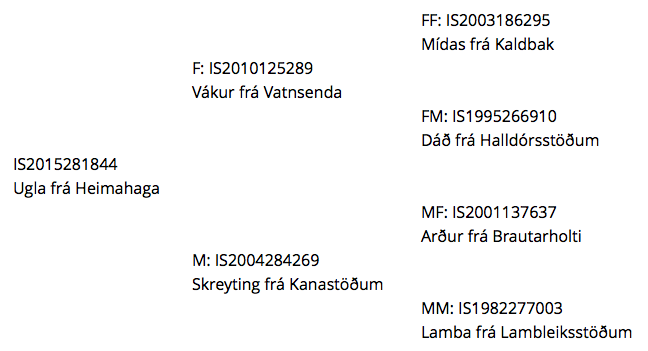 Dáð has 7.78 for Conformation and 8.30 for Riding Abilities; 9.5 for tölt, 8 for trot, 8 for gallop, 9 for spirit, 9 for general impression and 8 for walk. Total (8.09). 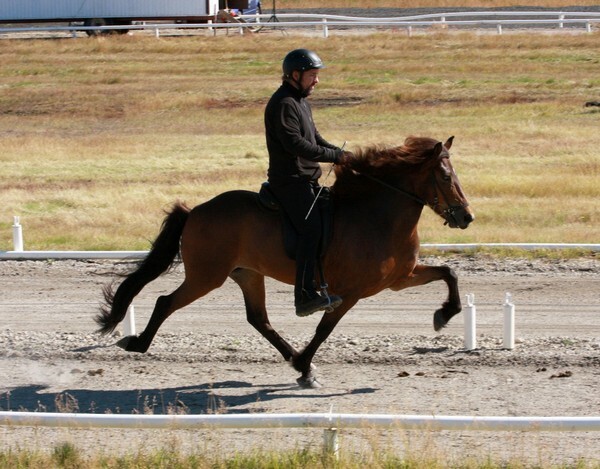 Dáð has also 9.5 for slow tölt and 9 for canter.